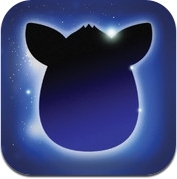 Owners of Furby can have even more fun with the official Furby App which is available for the Apple iPad, iPhone and iPod Touch. This official app from Hasbro is free to download from the App Store and allows you to understand what Furby is saying with it's Furbish language translator and enables you to feed Furby a wide variety of food to keep it happy. Translator - What did Furby just say? The translator will translate the Furbish language spoken by Furby to English in real time. Simply hold the app device close to the mouth of Furby when it speaks, speech bubbles will then appear and you can then either tap the English or Furbish phrase to hear it aloud. Dictionary - This full Furbish to English dictionary allows you to practice Furbish at any time and useful for writing secret notes to friends! Pantry - Over 100 different foods are available for you to choose for Furby to eat. Every Furby is different and over time you will get to know what food it likes and dislikes. Deli - Over 60 different ingredients are available for you to create a delicious sandwich for Furby. The app costs nothing to download, requires iOS version 4.2.1 or later and is compatible with the iPhone, iPod Touch and iPad. It is recommended you regularly update the app as sometimes new functions are added at a later date. Two versions are available from iTunes App Store, one for the iPad and another for both the iPhone and iPod Touch.